Located 3.5 miles north of San Pedro on the island of Ambergris Caye is a haven for romance, barefoot luxury, relaxation, and adventure known as Coco Beach Resort. This 5 star luxury resort offers the utmost in beach-front relaxation. Two free form swimming pools featuring a swim up pool bar, Jacuzzi, and water-slide are at the forefront of entertainment and fun. To suit every guests needs, Coco Beach Resort offers a wide range of accommodations from hotel rooms that sleep two to sea view penthouse suites that sleep six. 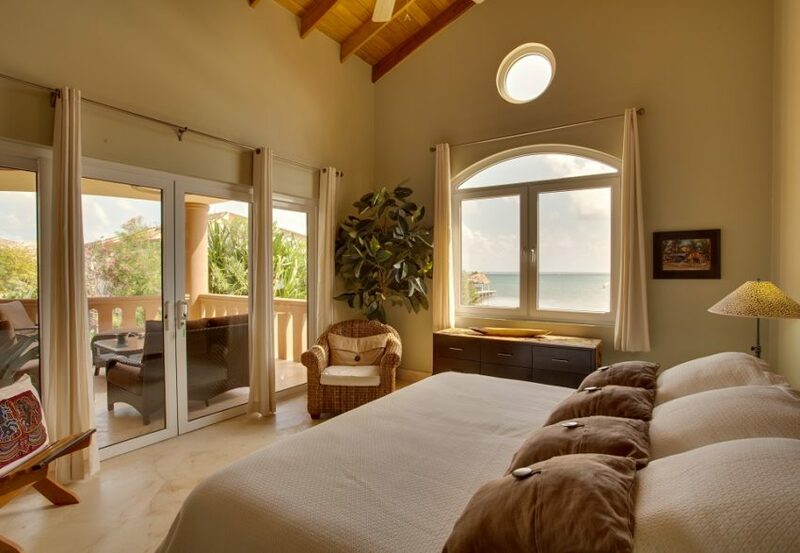 Two bedroom seaview suites at Coco Beach are equipped with king size beds and private bathrooms with hot/cold showers. Other features include a full kitchen, breakfast bar that accommodates four, and dining area that can accommodate parties of six. The living room is fully-furnished and includes cable television. In addition, a full-size pullout sofa in the living room provides additional sleeping space. 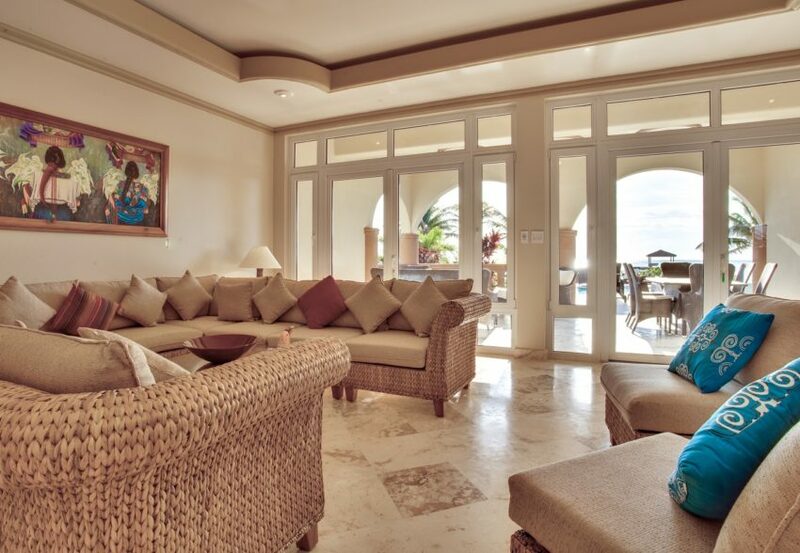 All of our luxury suites boast an outdoor covered veranda with private seating area overlooking the resort’s tropical landscaping, pools and beautiful Caribbean Sea. Additional in-room amenities include air conditioning, safe, hair dryer, and an iron and ironing board. Coco Beach Resort’s luxury one bedroom seaview suites feature a king size bed and private bathroom with hot/cold shower. 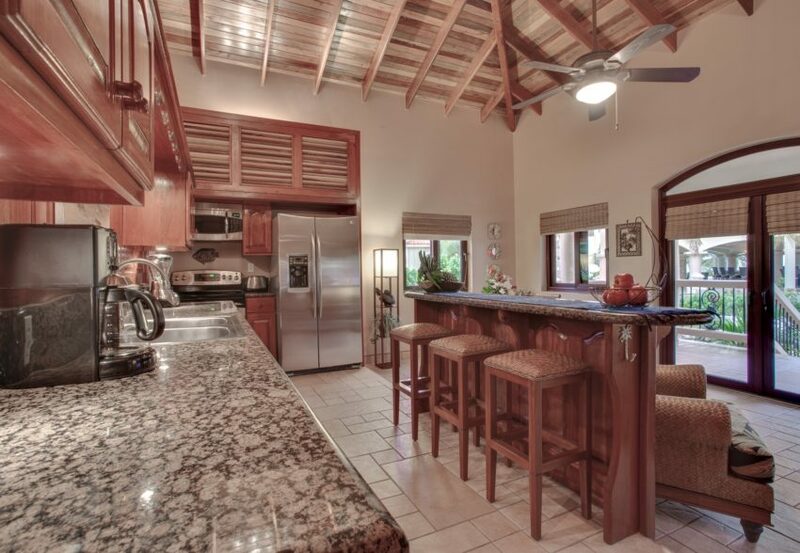 It includes a fully-equipped kitchen, breakfast bar that accommodates four, and dining area that accommodates six. 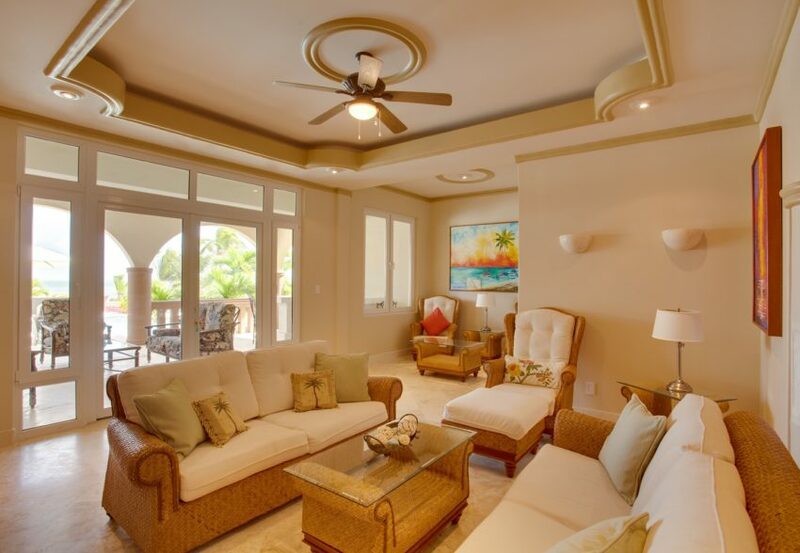 The living room is furnished and includes cable television. In addition, a full-sized pullout sofa in the living room offers additional sleeping space. 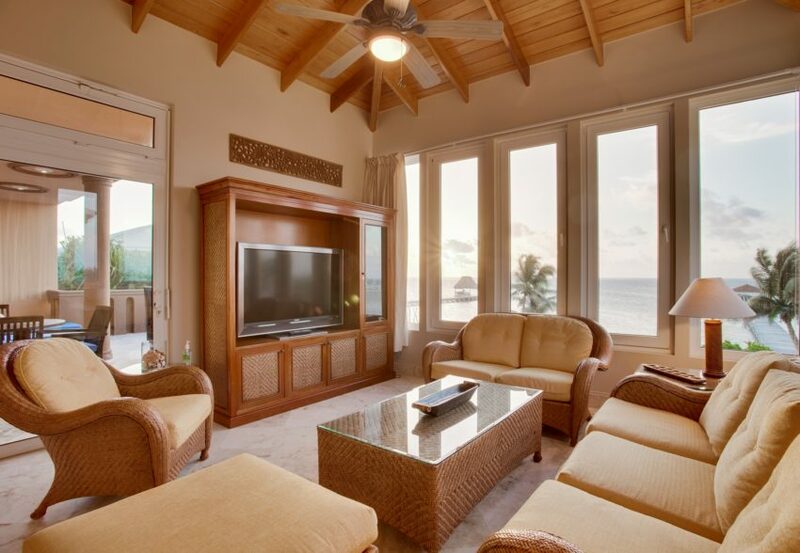 All of our suites boast an outdoor covered veranda with private seating area overlooking the resort’s tropical landscaping, pools and beautiful Caribbean Sea. Additional in-room amenities include air conditioning, safe, hair dryer, and an iron and ironing board. Coco Beach Resort’s pool view luxury villas feature one bedroom and one bathroom. 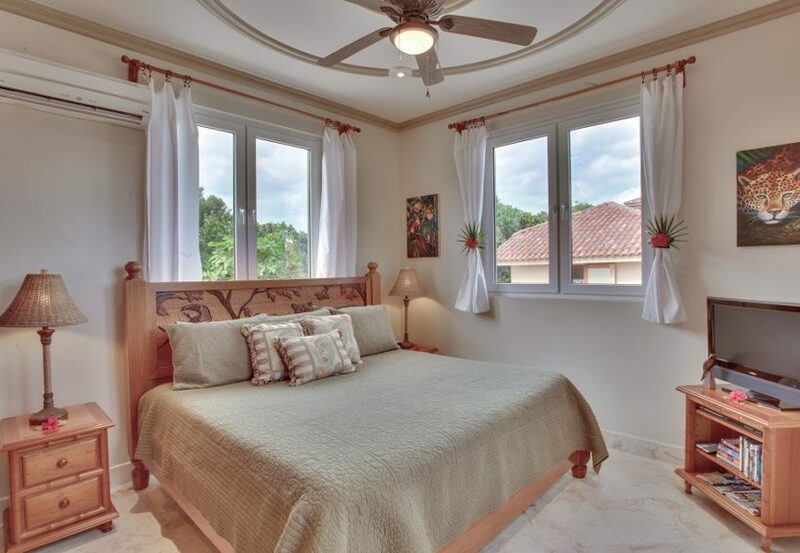 The master bedroom includes a king size bed with a private bathroom with a hot/cold shower. 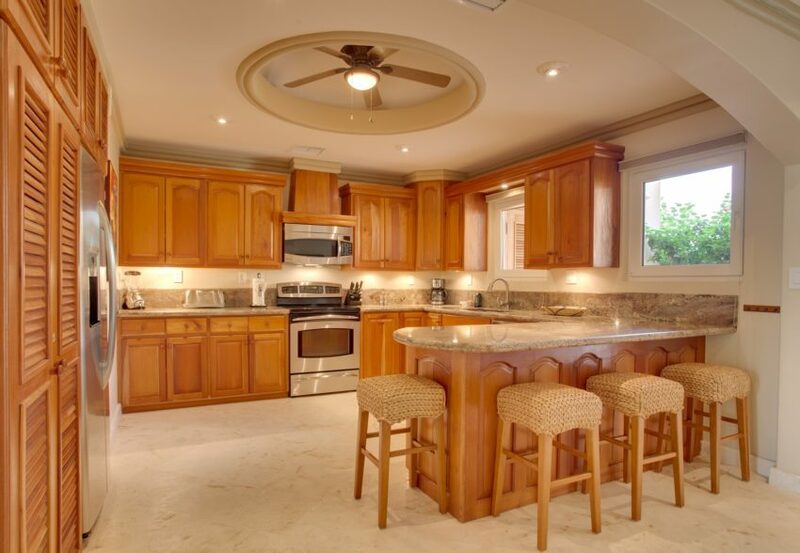 The luxury villa has a fully-equipped kitchen, and an eating bar and dining area that can accommodate parties of four. The living room is furnished and includes cable television, and a full size pull out sofa offering additional sleeping space. 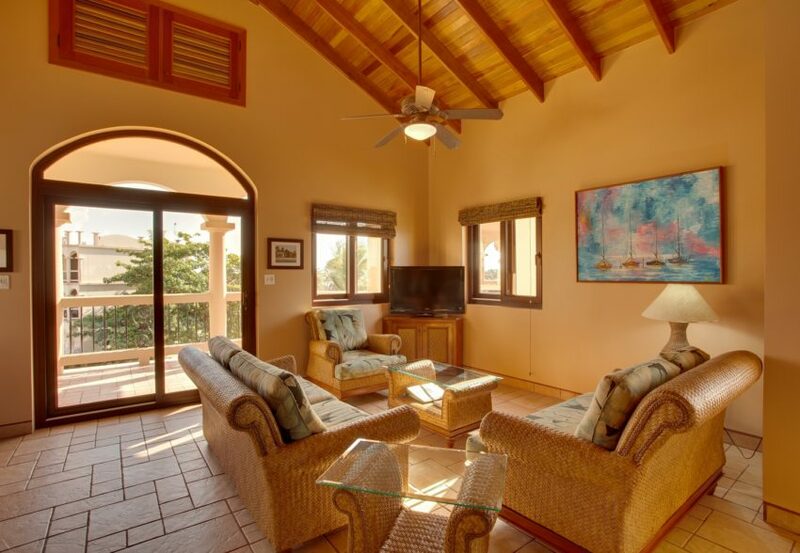 Our casitas offer a spacious bungalow layout that use different levels to define interior spaces. The casita features a king size bed, and a private bathroom with a hot/cold shower. The fully-equipped kitchen includes stainless steel appliances, and the dining area can accommodate parties of four. The living room includes cable television and a full size pull out sofa. All of our luxury honeymoon casitas provide outdoor seating on a private veranda overlooking our uniquely designed swimming pool. Additional in-room amenities include air conditioning, safe, hair dryer, and an iron and ironing board. Coco Beach Resort’s luxury hotel rooms feature one king size bed, a full size pull out sofa, and a private bathroom with a hot/cold shower. Each hotel room is air conditioned and includes amenities such as cable television, mini refrigerator, microwave, coffee/tea maker, hair dryer, and iron/ironing board. Featuring an outdoor balcony that overlooks our uniquely designed swimming pool, these affordable hotel rooms are perfect for couples planning their getaway to Belize.